Selling my Main with 3 99s and tons of mem items!! Selling my main shown below accepting Paypal, UGCs, Some RS gold, Pins, Or a mixture of all. I will not go first under any circumstance! If you prefer it we can meet ingame before the sale. The account is not a member so I wouldnt be able to show you all the mem items in game. Please Post your offers below. Also the trade will take place over pms because my msn isnt working. Re: Selling my Main with 3 99s and tons of mem items!! How much are you looking for Paypal wise? well i was thinking at least $1 per mill then + all the levels... idk offer. 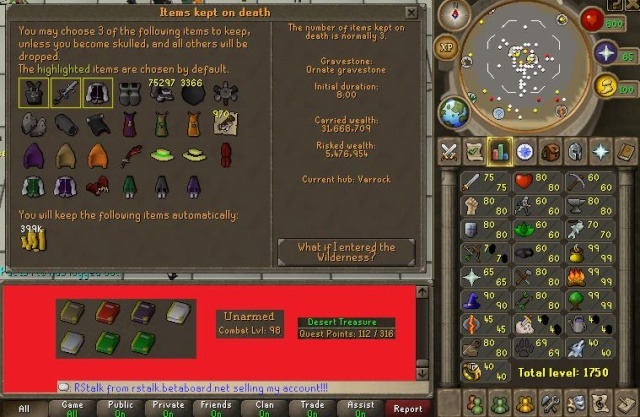 also there are alot more mem items in the bank.